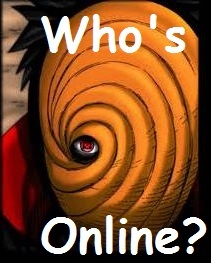 Past: Naruto was able to change the mind of the once known enemy Tobi who now offers help in defeating Madara Uchiha. Sasuke was told the truth and learnt all that was needed to make up his mind. Sasuke showed up to the scene of the 5 Kage, Bijuu Naruto and Tobi fighting the horrifying enemy Madara Uchiha, Sasuke showed his hate was still slightly towWhat ard Konohagakure but he would help Naruto defeat the terror known as Madara Uchiha. In the end Tobi gave his life to destroy Madara and save the world, and Sasuke fought Naruto at the Valley of the end. The statues of Madara Uchiha and Hashirama Senju were destroyed and Naruto Uzumaki along with Sasuke Uchiha’s bodies were found smiling laying in the center. Present Day: Now were the statues of Madara Uchiha and Hashirama Senju once stood is statues of Naruto Uzumaki and Sasuke Uchiha. Sasuke’s statue stands in place of Madara and Naruto in place of Hashirama. As for the villages the major villages have returned to normal and the minor villages have been destroyed leaving room for ninja to start more. The major villages have been growing with new clans and the growth of old clans. The rules, regulations, and requirements for this site are posted here. It is your responsibility to read and follow them accordingly, and is expected out of every member, no exceptions. Updates to the site, announcements of changes, and upcoming events are also posted here. Read them to keep up to date. This is how ninja will earn Ryo for items. The hidden village of the Land of Fire. As one of the Five Great Shinobi Countries, Konohagakure has a Kage as its leader known as the Hokage. The hidden village of the Land of Wind. As one of the Five Great Shinobi Countries, Sunagakure has a Kage as its leader known as the Kazekage. The hidden village of the Land of Earth. As one of the Five Great Shinobi Countries, Iwagakure has a Kage as its leader known as the Tsuchikage. The hidden village of the Land of Lightning. As one of the Five Great Shinobi Countries, Kumogakure has a Kage as its leader known as the Raikage. The shinobi village located in the Land of Water. As one of the Five Great Shinobi Countries, Kirigakure has a Kage as its leader known as the Mizukage. Here is the wonderful town of Tanzaku where you can buy anything and everything! Home of Samurai, and Kage meeting place. Here is where you can NPC fight Bijuu. *NOTE: NPC will tell you the stats you have gained after beast is beaten. If you are captured for wrong doings then you are placed here. A prison surrounded by lava.